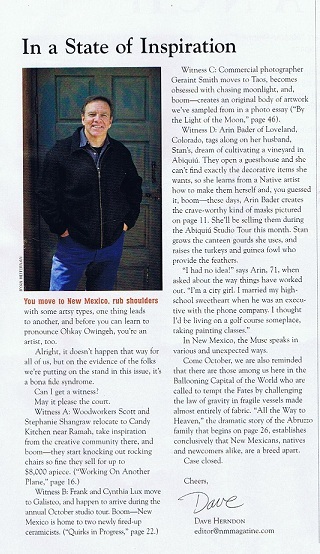 We are so excited that our New Mexico Magazine article just came out. It looks great. We weren’t sure how the backdrop would turn out in our natural setting, but it looks fabulous. Reminds us just how beautiful our area truly is. To be able to live in such an inspiring place with nature all around, is our piece of Shangrila. 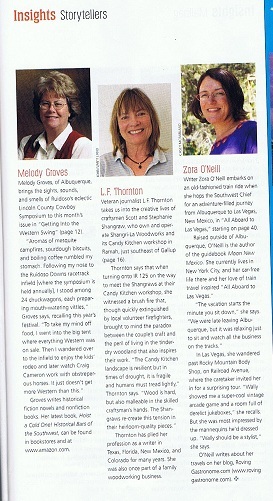 Linda Thornton (middle picture) did a great job on this article. 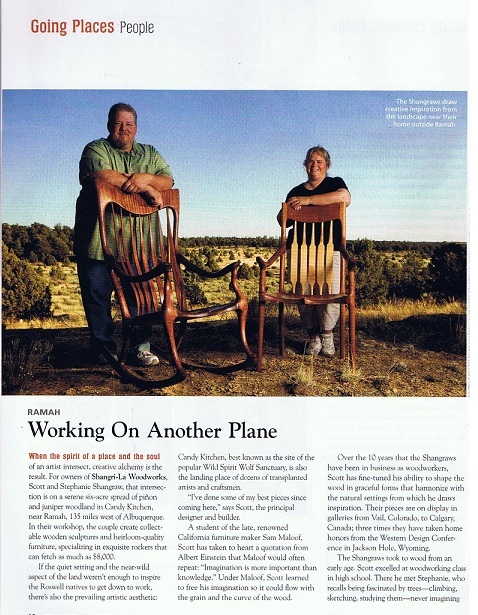 She is a very sweet person and had some knowledge on furniture making to help with this article. This custom order was for a Texas customer. 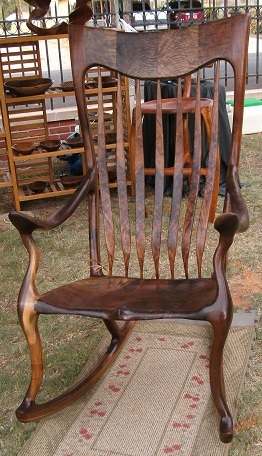 Although he has mainly mesquite in his home, he liked the look of the black walnut. And everything complemented each other just beautifully. 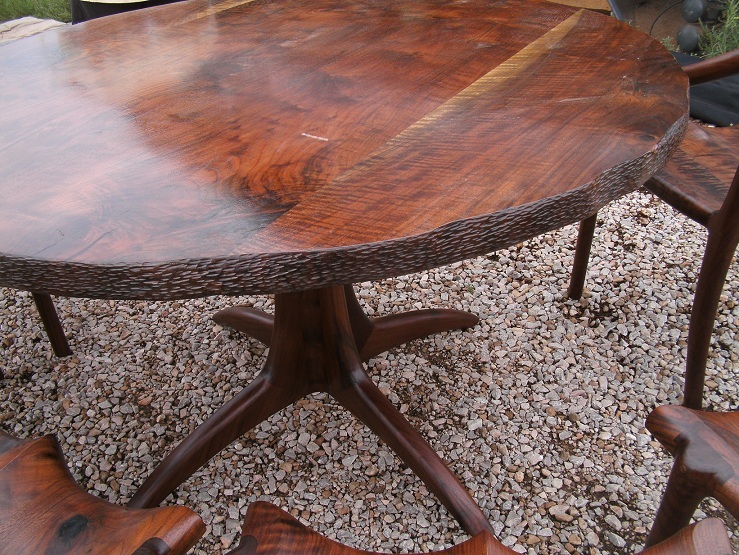 The table was a carved pedestal base with a natural edge top that had to be hand done. There were six chairs total. Two Captains and four armless. 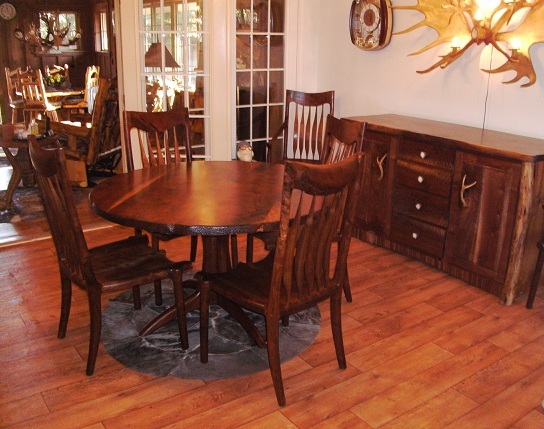 The buffet had a natural edge top to blend in with the table top, along with log legs making up the front. 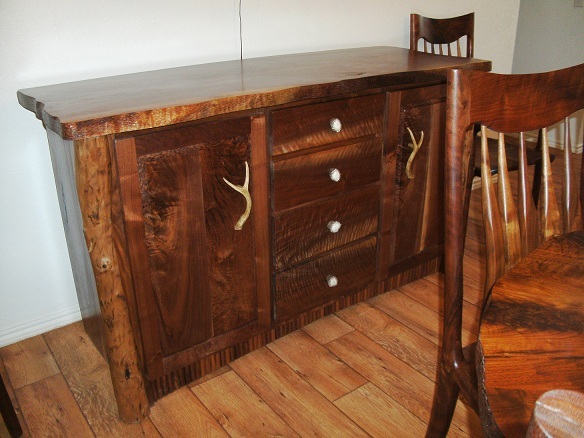 Antler handles were used for the drawers and doors and the drawers were self closing. 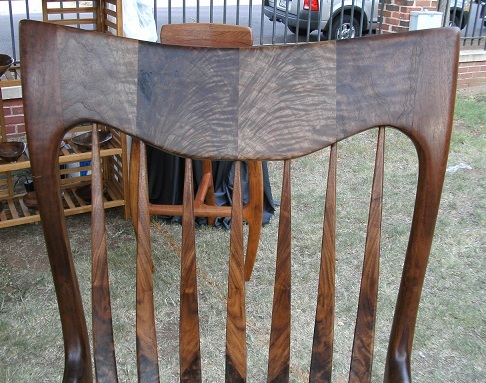 The Black Walnut came from Oregon and was some of the most incredibly figured and beautiful walnut we have ever seen. 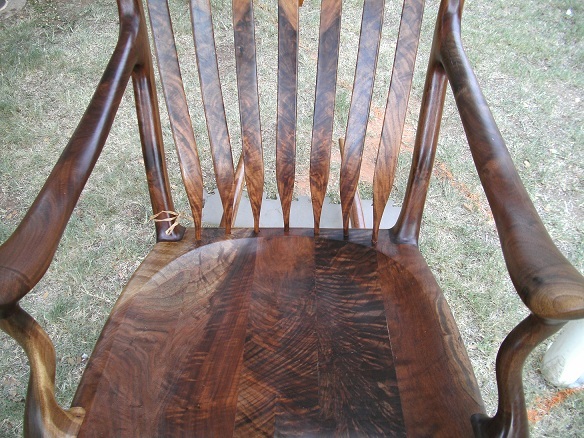 There was lots of tigering, color changes and some burl. This made for a spectacular set and we were lucky enough to show it off at the Midland Art show before delivering it and it got a lot of attention. 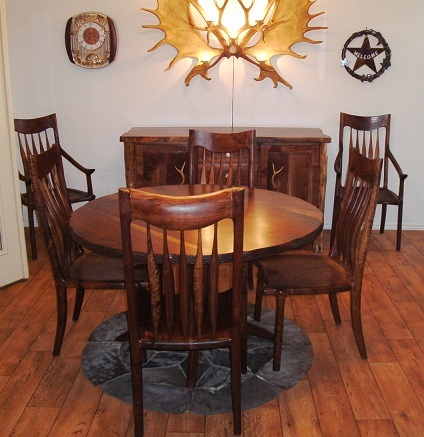 Black Walnut Table set and buffet at its new home in Texas. The buffett had some of the most incredible figure on the drawers. 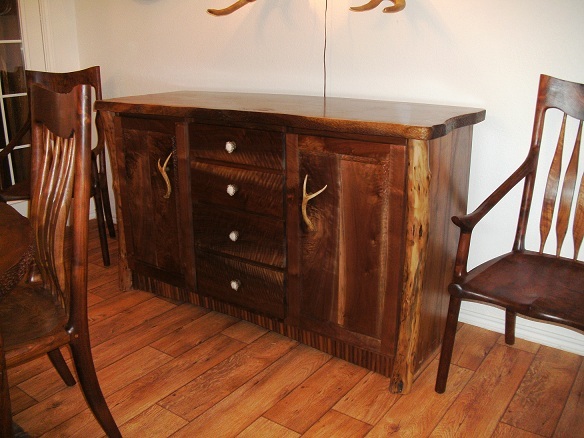 The antler handles really give that western flare to this piece. 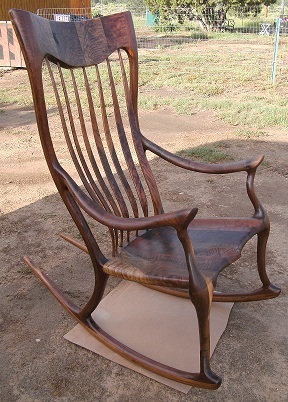 Just a sampling of how gorgeous the figure was on this walnut. 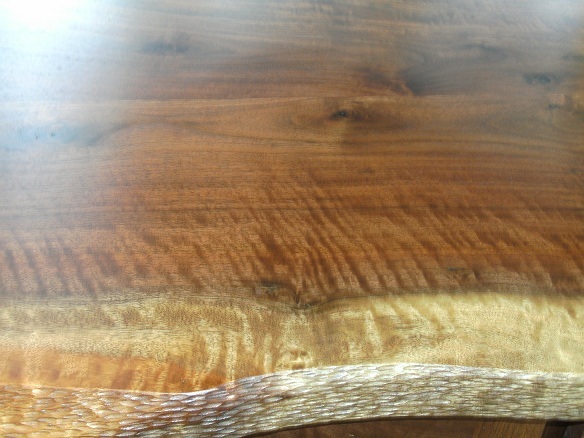 A natural edge with stipeling was done to the table top. Each hash mark was done by hand. 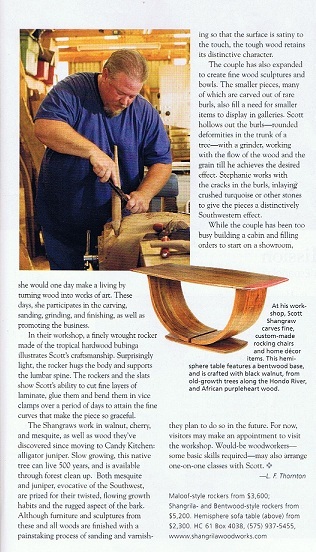 You are currently browsing the Shangrilawoodworks's Blog blog archives for September, 2011.